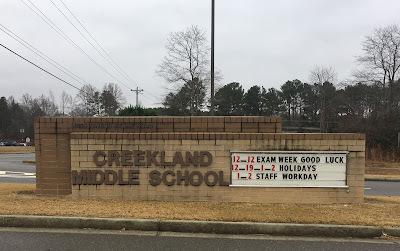 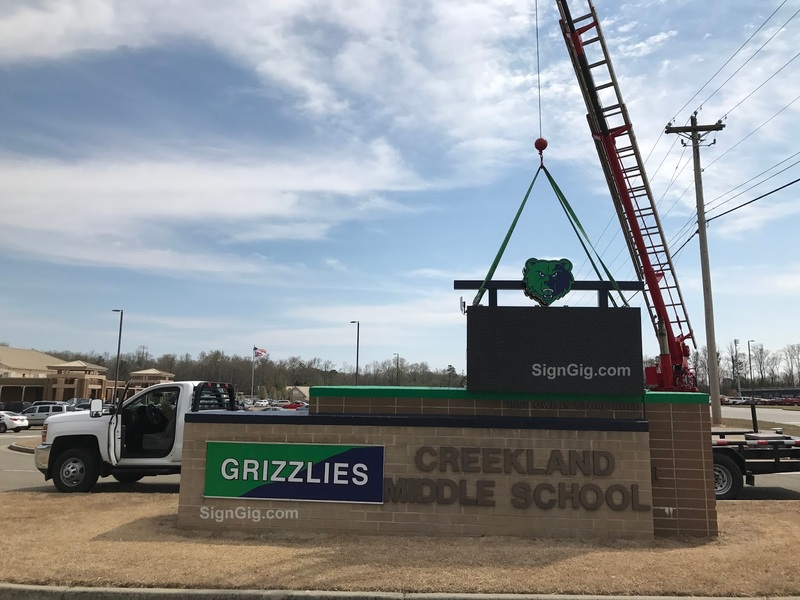 Creekland Middle School in Cherokee County, Georgia receives an amazing face-lift with a new LED display! Creekland Middle School, located within the Cherokee County School district in Canton, GA, received a much-deserved face-lift this spring! 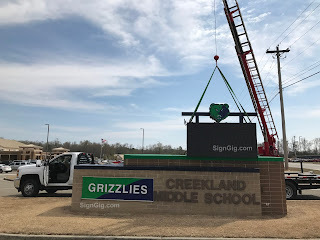 Some of the fine details of their face-lift included painting of the current brick monument to feature their school colors, a back lit mascot panel on each side of the monument and most importantly, their new LED video display with the Grizzly logo mascot topper! 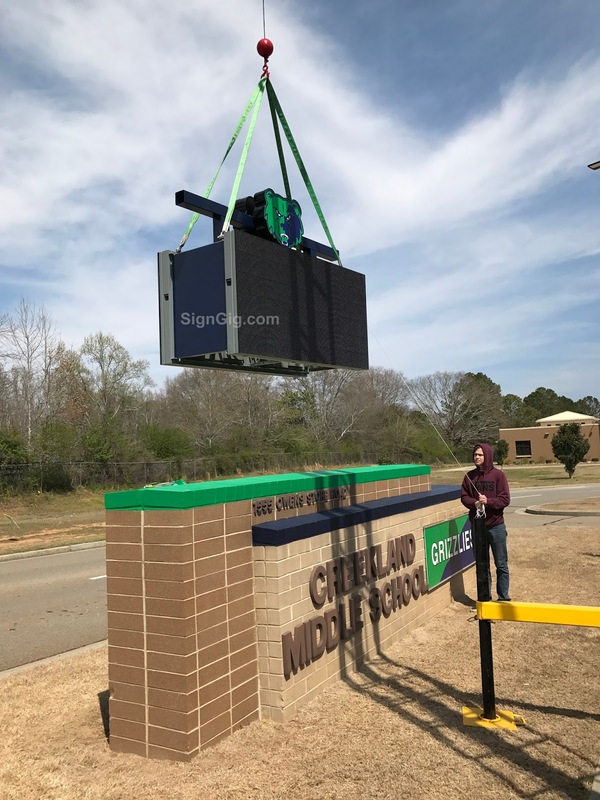 Creekland now has their own broadcasting station, allowing them to reach out to their students, parents and community with an attention grabbing LED sign.They were so excited that we were able to hand over the keys to the display before their spring break next week. Check out the amazing transformation with their before and after pictures! Enjoy your new sign! 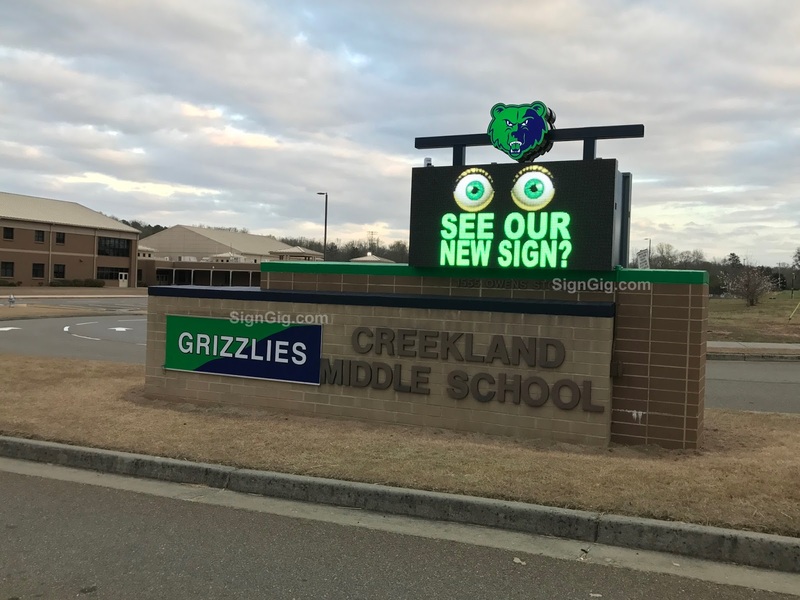 Want to find out more about our LED signs? 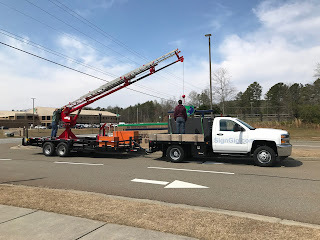 Check out our website and give us a call!